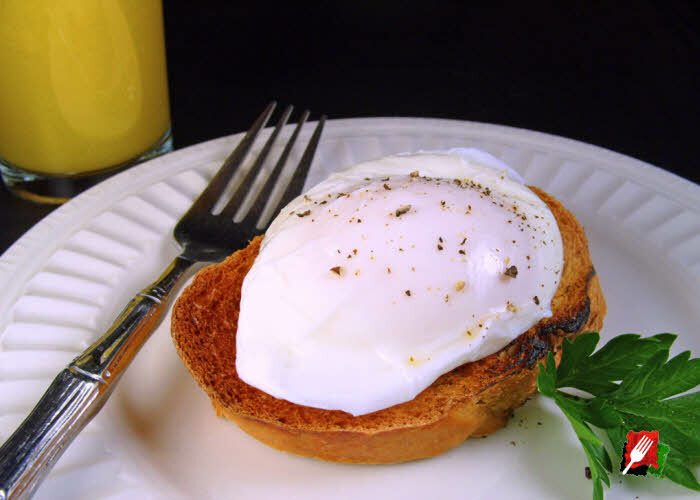 With only 5 simple steps, it’s easy to make foolproof, perfect poached eggs in just a few minutes. 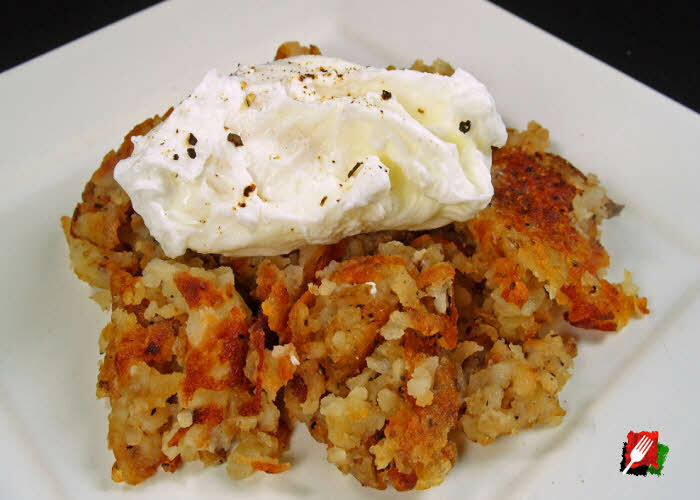 These poached eggs are not only delicious, they’re also a great protein-rich way to enjoy eggs without the excess fat used to fry them. 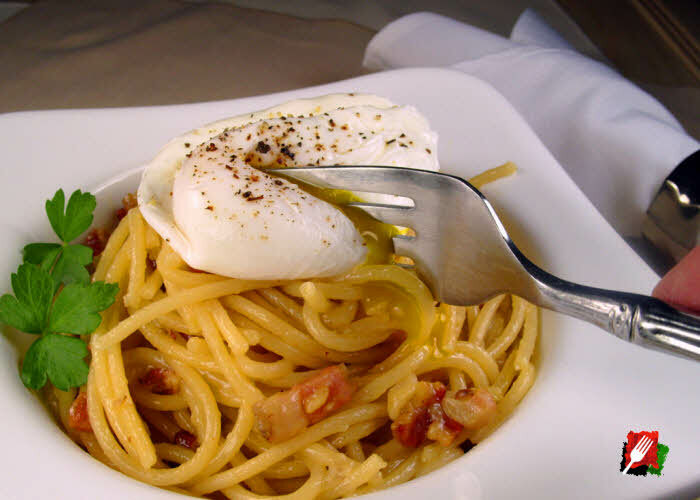 It’s the perfect compliment to toast, hash browns, eggs benedict, breakfast steaks – even lemon pepper pasta and spaghetti carbonara! 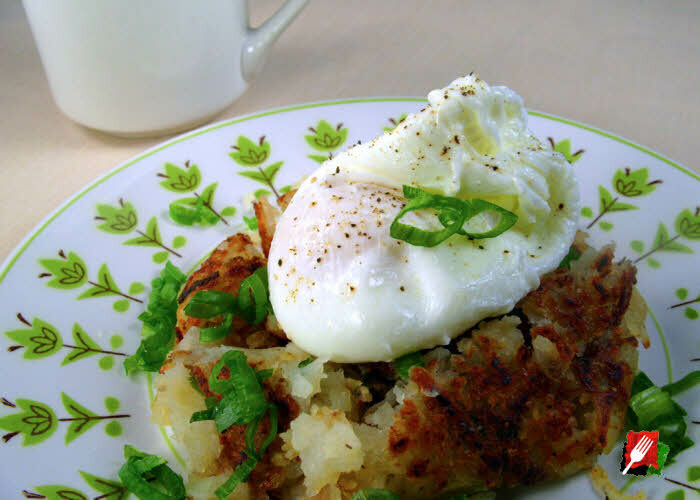 For the most attractive, delicate, and flavorful eggs you’ve ever had, try this popular recipe! 1. 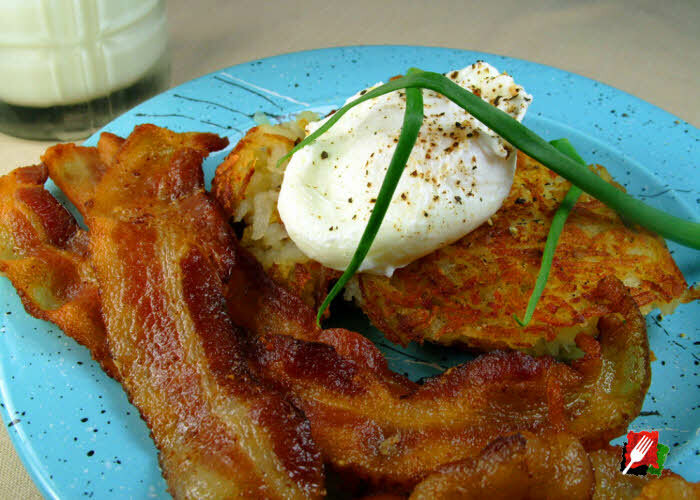 Use fresh eggs at room temperature. Always use the freshest eggs available. 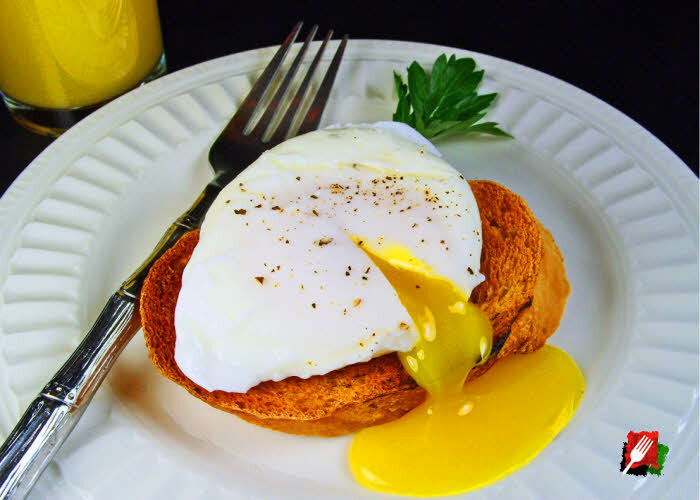 If your eggs are too old, the whites don’t coagulate (set) properly with the yolk and won’t hold their shape as well. 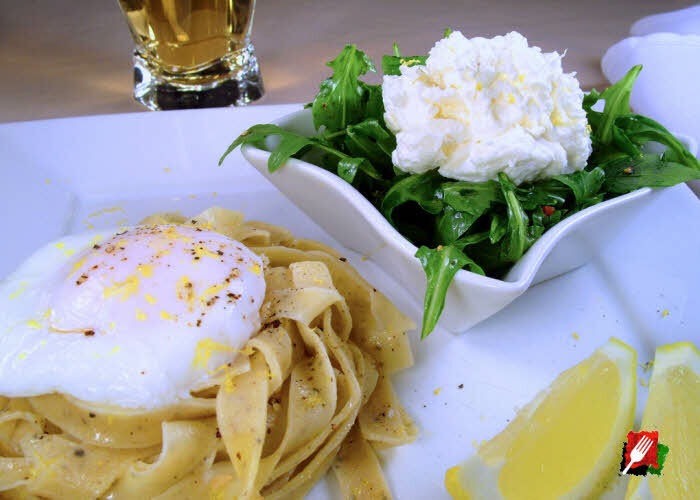 Fresh egg whites at room temperature tend to cling to the yolk much better than older eggs directly from the refrigerator. Remove eggs from the frig and set aside for about 30 minutes. 2. 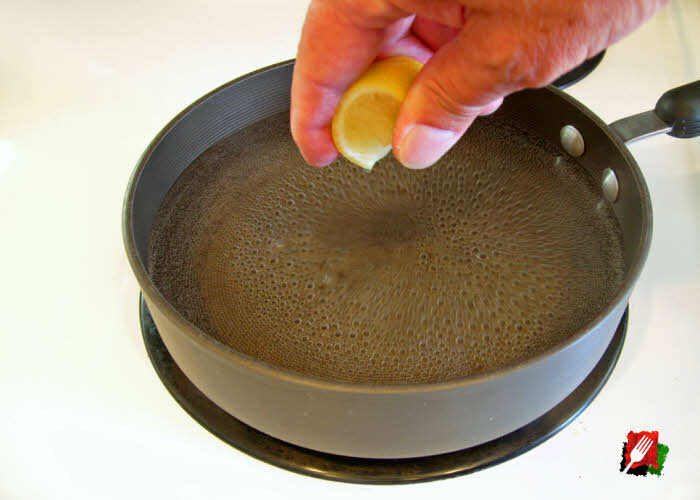 Add lemon juice and salt to shallow water in a medium pan over high heat. 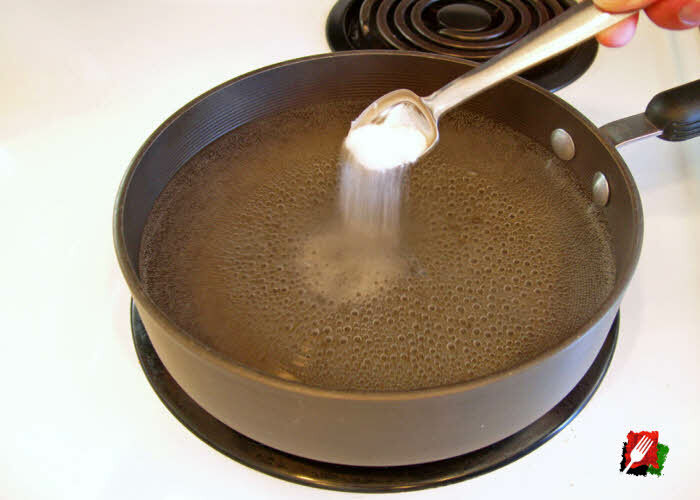 Pour about 2 inches of fresh water in a medium 8″ x 3″ deep saucepan, then put on the stove over high heat. Stir in 1 teaspoon of lemon juice (or a squeeze from a lemon wedge) and 1 teaspoon of salt. The acidity in the lemon juice lowers the pH, and with the salt, helps the egg whites coagulate much faster, holds the egg’s shape better, and minimizes feathering of the edges while cooking. 3. 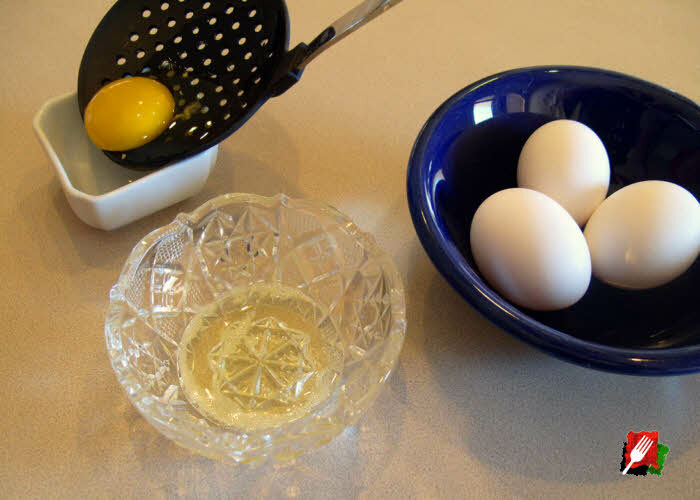 Strain each egg into individual bowls. 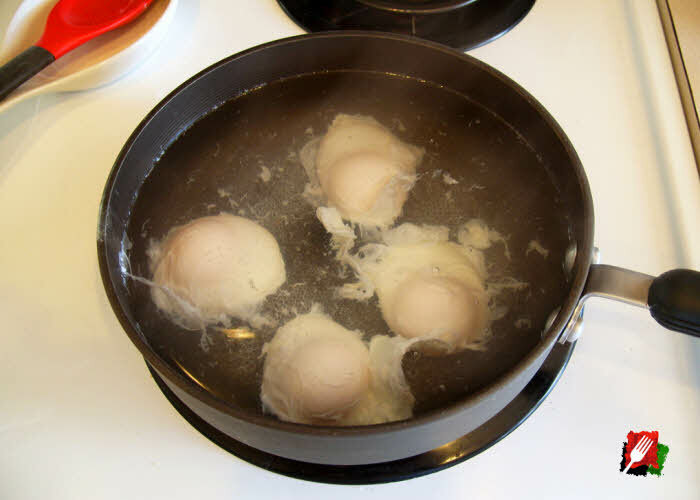 For the best results, remove the excess watery white albumen from each egg. 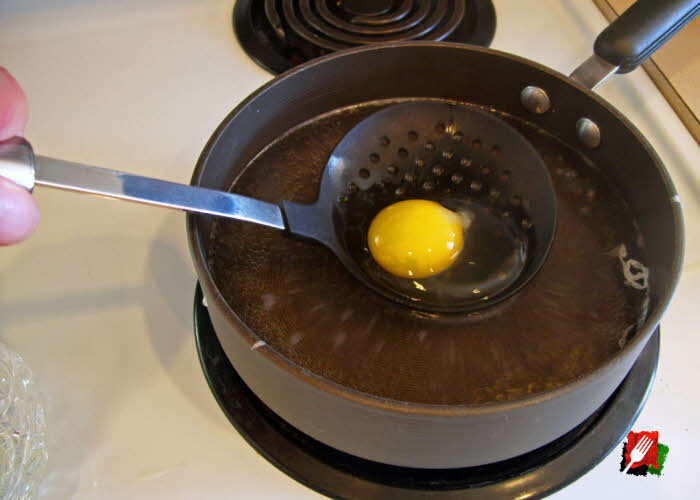 Simply use a strainer or finely slotted spoon over a bowel, then crack and gently drop in an egg. After some of the thin watery portion of the egg white drains through the mesh for a couple seconds, gently place the remaining raw yolk and egg white into its own small bowl, cup, or ramekin. 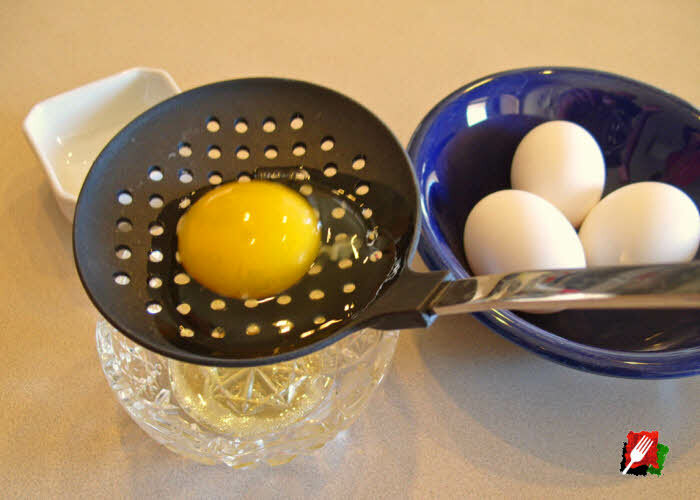 If you’re handy at cracking eggs, you may be able to skip this process by placing each egg into a slotted spoon and adding it directly to the pan (see “Advanced Cooking Method” at bottom). 4. With the water at a rapid simmer, add the eggs, then turn heat to low. 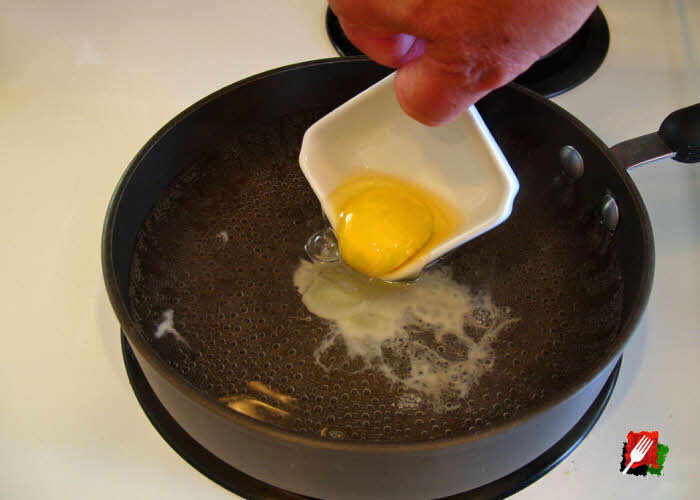 When the water has heated to a strong simmer (but not boiling), rapidly stir the water with a spoon, then carefully tilt each bowl over the pan, letting some of the water flow into the bowl with the egg, then gently and smoothly slide each egg into the water. 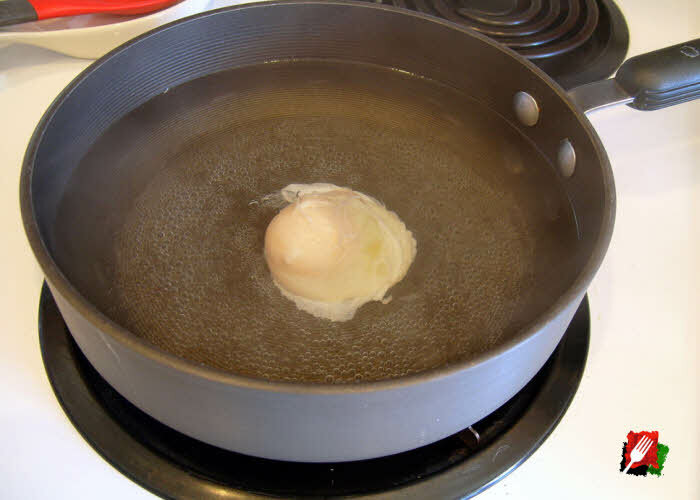 Surrounding the egg with hot water in the bowel helps hold it together. 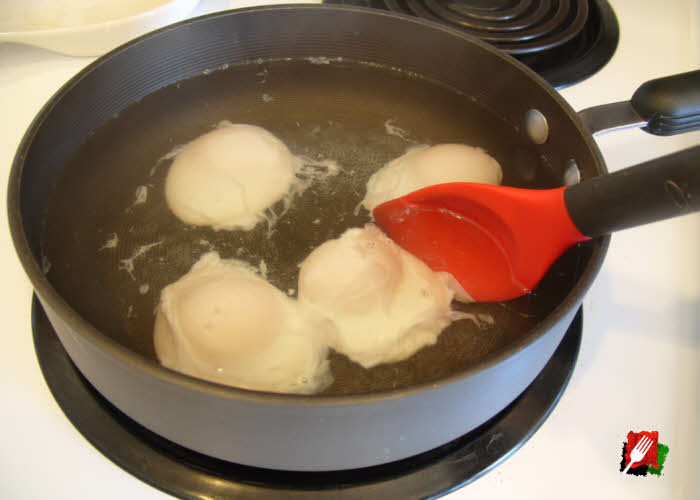 When as many as four eggs are in the simmering water, immediately turn the heat down to low and gently stir the eggs with a spoon to keep them off the bottom of the pan and to separate them as much as possible. Set a timer and let them cook undisturbed. 5. Cook the eggs for about 2 minutes or until done. 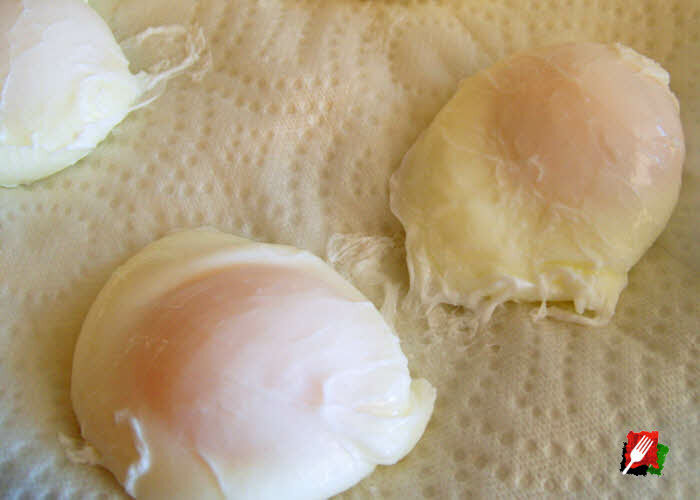 Still on low heat, leave the eggs undisturbed for 2 minutes, then look at them every 15 seconds until the egg whites are fluffy and set, and the yolks start to film over with a solid opaque membrane, usually in about 2 to 3 minutes total cooking time. The longer it cooks, the harder the yolk will be, so if you like your yolks soft and runny, don’t leave them on any longer than necessary. Plate or refrigerate immediately. 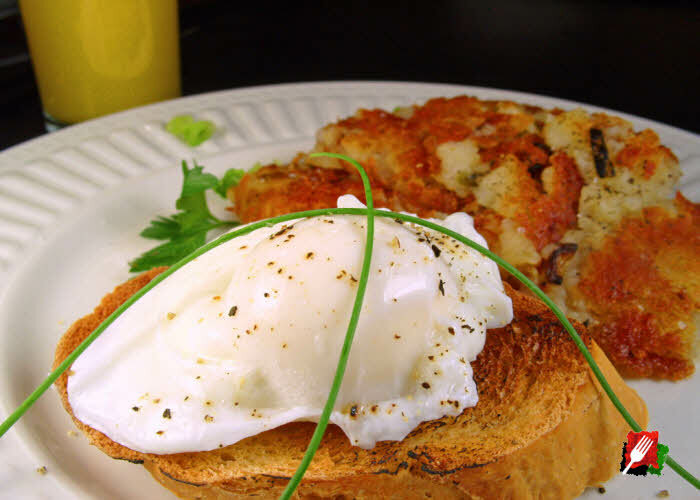 When they’re finished, individually remove the poached eggs with a slotted spoon, letting as much of the water drain as possible or momentarily place on a paper towel. 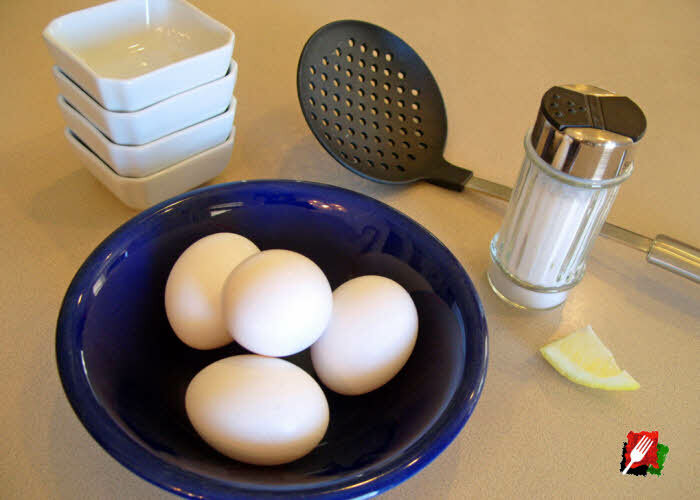 Plate and immediately serve eggs hot with salt and pepper, a little hot sauce, or refrigerate for later use (see below). 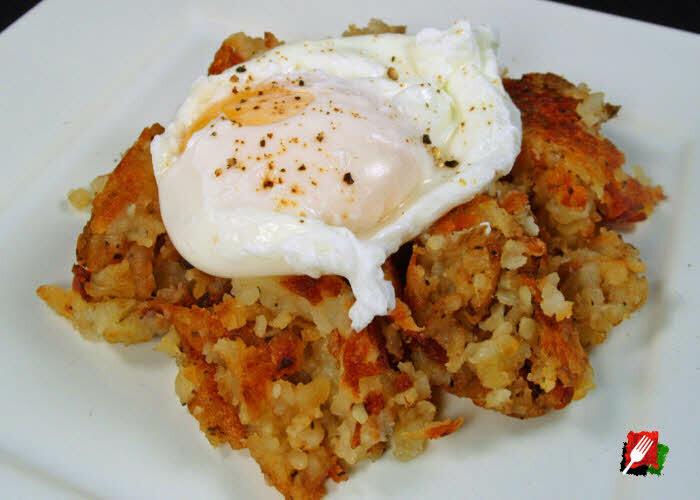 Reheating poached eggs. 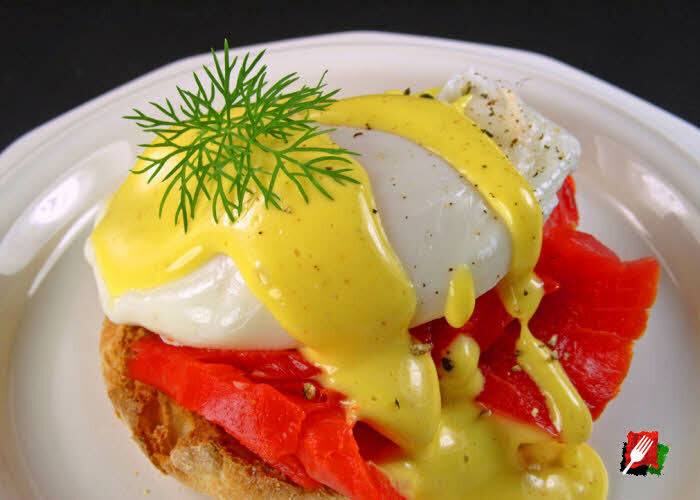 A trick that many hotels, caterers, and breakfast restaurants use is to pre-cook and reheat their poached eggs as needed. 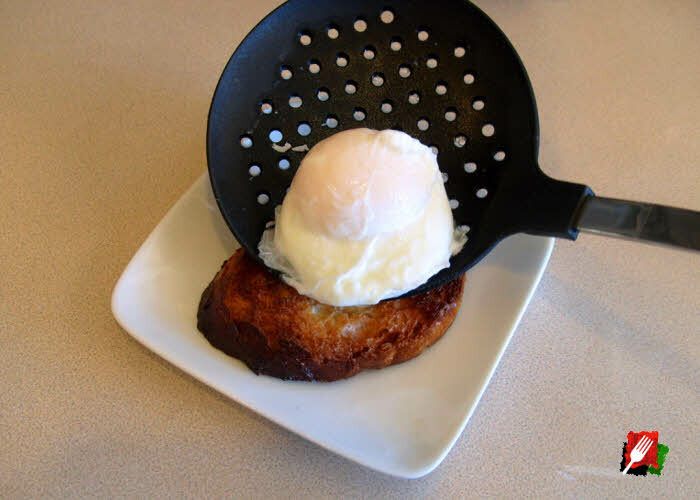 The process involves immediately placing slightly undercooked poached eggs gently in an ice bath with a slotted spoon. Refrigerate overnight or for up to 24 hours in a covered bowl. 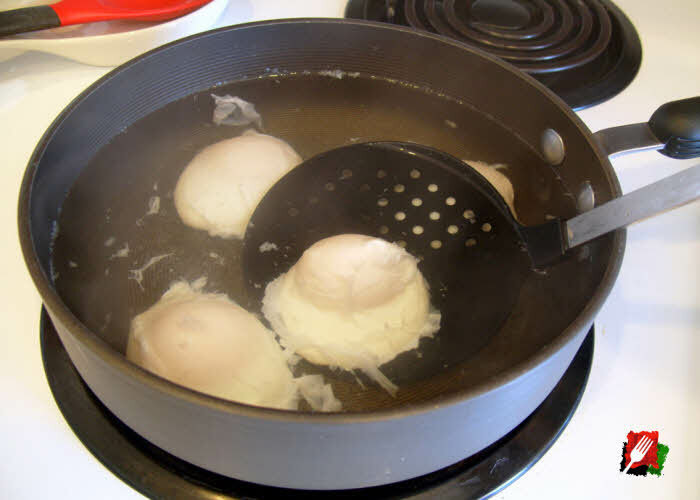 To reheat the eggs, bring a pan of water up to a strong simmer, place the eggs in the hot water with a spoon for 30 to 45 seconds, then serve immediately. 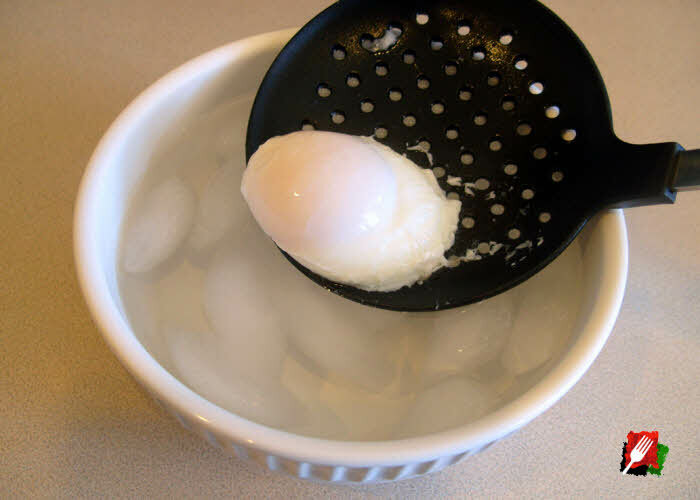 If you’re using fresh eggs and can reliably crack an egg with one hand, this is an efficient way to poach eggs. 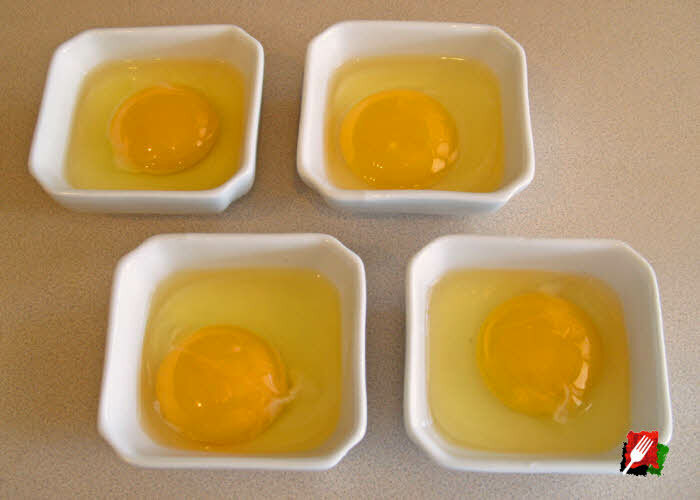 It saves time by eliminating the interim step of placing the strained eggs in their own ramekin. To accomplish this, heat a pan of water and add the lemon juice and salt as outlined above. 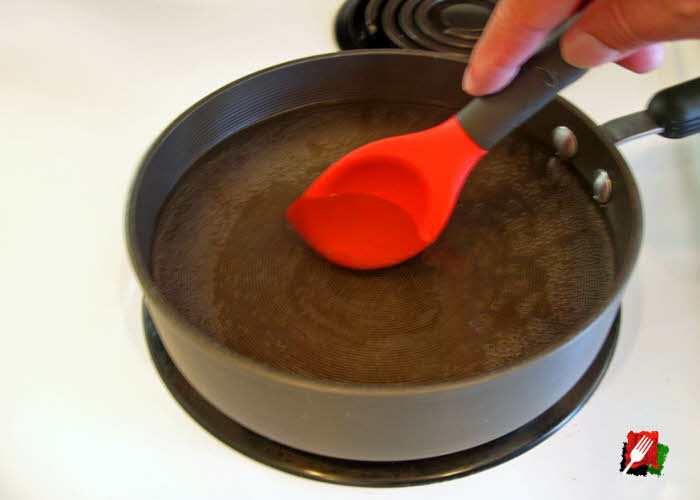 With the water simmering, place an empty bowl near the pan, hold a slotted spoon over the bowl with one hand, then crack an egg and gently drop it into the spoon with the other. After straining the thin egg white into the bowl for a couple seconds, gently drop the egg directly into the simmering water. Quickly repeat this for up to 4 eggs per pan, then turn the heat down to low and separate the eggs with a spoon. Alternation Method: If cracking an egg with one hand while holding the spoon with the other is too difficult, seek the help of a friend. 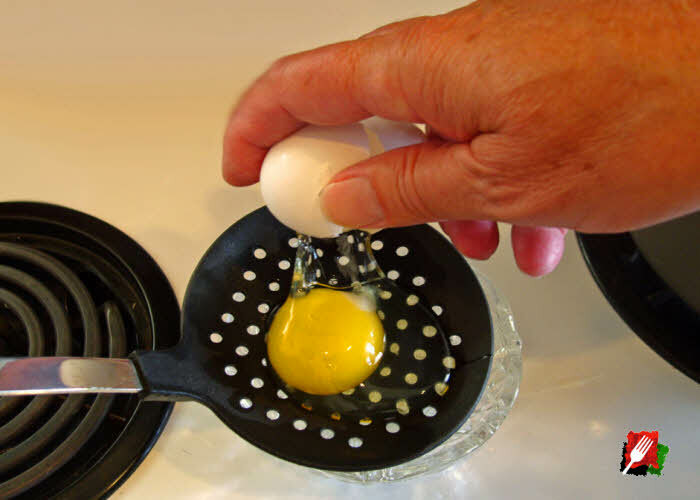 While one person holds the slotted spoon over the bowl, the other can use both hands to crack the egg and drop it into the spoon. With as many as four eggs in the simmering water, let them cook on low heat undisturbed for 2 minutes, then watch them every 15 seconds until the egg whites are fluffy and set, and the yolks start to film over, usually in 2 to 3 minutes. When they’re done, immediately remove them with the slotted spoon and serve. 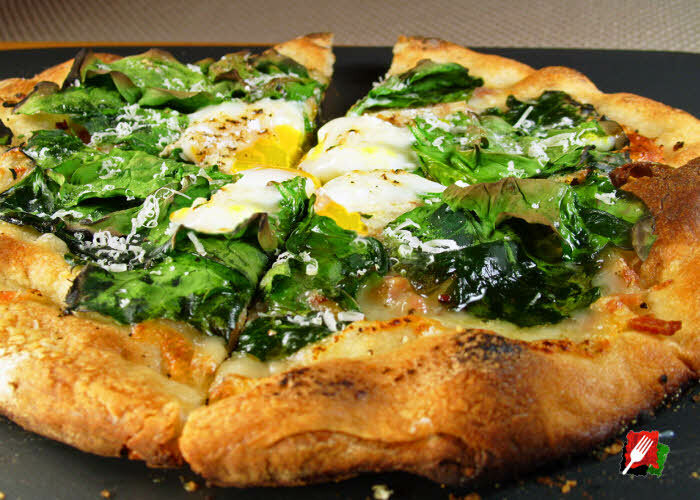 Note: There is a slight health risk in eating raw or undercooked eggs. To reduce this risk, use only fresh, properly refrigerated, clean, grade AA or pasteurized eggs whenever possible.